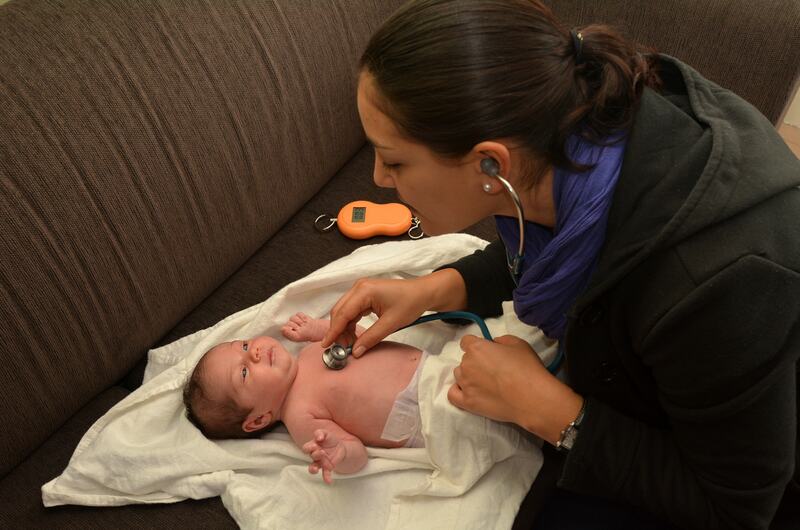 Question: When we report global ob care, it includes a "postpartum exam." What is the definition of the post-partum exam? Answer: The postpartum exam is any routine care the ob-gyn normally gives after the birth of the baby. This exam occurs within the six-week standard time frame for a vaginal delivery or sometimes the eight-week period for cesarean. You can bill complications during the postpartum period separately, but you should include routine checks, no matter how many. The American Congress of Obstetricians and Gynecologists (ACOG) guidelines for perinatal care recommends that about four to six weeks after delivery, the mother should visit her physician for a postpartum review and examination. "This interval may be modified according to the needs of the patient with medical, obstetric, or intercurrent complications. A visit within 7-14 days of delivery may be advisable after a cesarean delivery or a complicated gestation," ACOG says. counseling for preconception if the patient intends to have future pregnancies. The ACOG procedure manual indicates that the global service includes, among other things, uncomplicated outpatient visits until six weeks postpartum. Some payers use six weeks as the standard, while for others it may be longer or shorter.